Economic Freedom Fighters presents to all people of South Africa the 830 names of men and women who form part of the winning list of candidates for 2014 general elections. These are tried and tested activists from different walks of life, mainly rooted in people’s daily struggles. As the leader of the economic emancipation movement, the vanguard of the broader protest movement in South Africa, EFF puts emphasis on a people centred and revolutionary leadership. We are fielding fighters whose sole mandate is the people and who go into parliament to return it to the people. The parliament under the EFF leadership shall be the parliament of the people, and will constitute new legislations to inaugurate an era of economic freedom for our people. Central to the mandate is the inculcation of a servant revolutionary morality to ensure that parliament does not turn them against the people. As it stands, it has a slow deadly poison that transforms activists into self-seeking elites who abuse institutions of the state and make a noble people’s mandate about self-enrichment and gratification. To directly avert this, the EFF candidates shall, as part of their revolutionary duty use public services; from public schooling to public healthcare. The EFF candidates list has 99% gender parity, a delicate generational mix where the youngest is a 19 year old and the oldest is an 80 years old. It is constituted by members of the EFF in good standing and it is mainly black, meaning it has more Africans, Coloureds and Indians, and an excellent geographic spread. 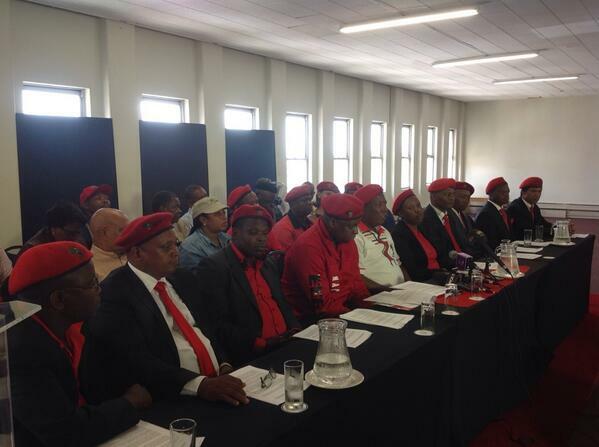 The EFF list is a collective and democratic result of the Central Command Team and has considered all the activists of the EFF both in leadership roles and outside. Not all EFF leaders have made it to the list and not all activists will be in parliament, simply because there are no enough spaces. We have also established working relations and reached agreements with several organisations regarding candidates for elections. We are proud to announce that we have agreed with the Socialist Party of Azania (SOPA) and Black Consciousness Party (BCP) that they will not independently stand for elections, and that their candidates shall be part of the EFF candidates list as EFF members. We also have members of South Africa First in the list who hold dual membership, this is despite the fact that South Africa First has not yet formally agreed to their being in the EFF list, but its leadership collective has endorsed them. Finally, the EFF list has a presidential candidate and provincial premier candidates because we believe that the electorate must not find out only after elections who we intend to appoint as premiers of provinces as well as the president of the Republic. 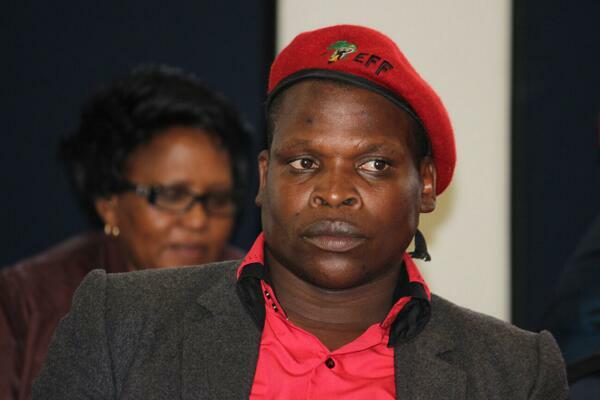 Fighter Wele has a rich history in youth politics. During his school days he led in the Student Representative Council and later joined the ANC YL. He was very active in his local branches, holding different portfolios in the ANC YL. When the time allowed him to join the ANC, he did so and became one of an uncompromising ground force for the ANC. He participated in different campaigns that led the ANC into government particularly the previous national, provincial and local government elections. Figher Wele also comes from grass-roots community organizations and formed part of the struggles for land, especially in squatter camps such as Orange Grove in Buffalo City. When the call was made for volunteers to swell the ranks of EFF he was one of the first to respond in the Eastern Cape and has is now the Convener of the EFF in that province. 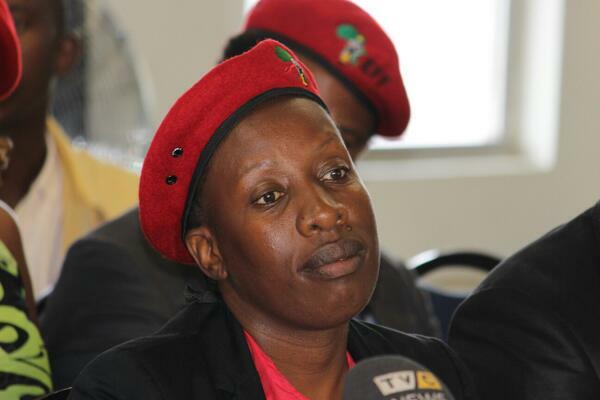 Fighter Mandisa Makhesini is a member of the EFF Central Command Team as Commissar responsible for Gender Transformation. She joined politics at an early age through structures of the ANCYL and later joined the ANC and ANCWL. She is a well-known fearless youth activist who has led at different levels both in the ANCYL and Youth Development structures. She was the deputy chairperson of the ANCYL, leader of the provincial youth council and deputy chairperson of the youth development agency in the Freed State. 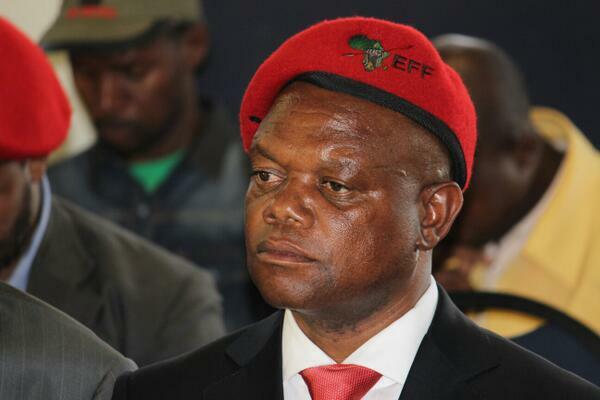 The advocate of the people, as he is affectionately known amongst members of the EFF as well as the working poor, has a long history in the struggle against the racist and murderous apartheid regime. He was inspired by the death of Steve Biko and started becoming politically active by joining the Congress of South African Students. Since becoming active in politics, he has been in and out of prison. 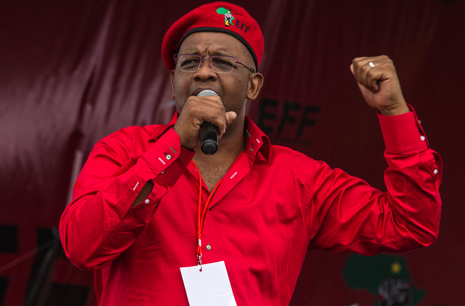 Commissar Dali Mpofu was introduced to the ANC underground in early 80s and since then he has participated as a loyal member of the ANC. He is an all-rounder with a background of student politics, youth politics and trade unionism. 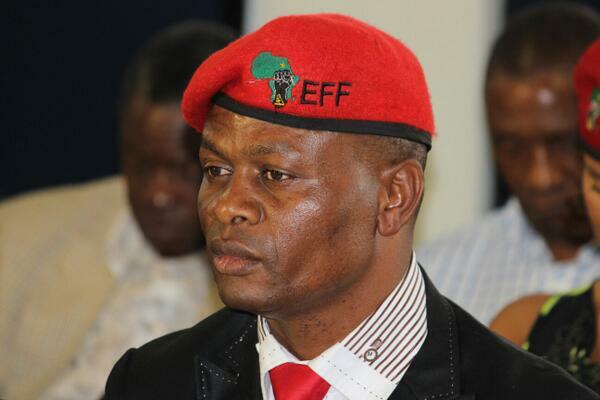 He is now responsible for Justice and Special projects in the Central Command Team of the EFF. Fighter Vusi Khoza is a former member of a student Christian movement which he joined when he was still in high school. A former trade union shop-steward and activist of the United Democratic Front. He joined the ANC in the late 80s and served the movement with loyalty and discipline. When the National Freedom Party was formed he became its first provincial secretary in KZN. He is now our provincial convenor in KZN. 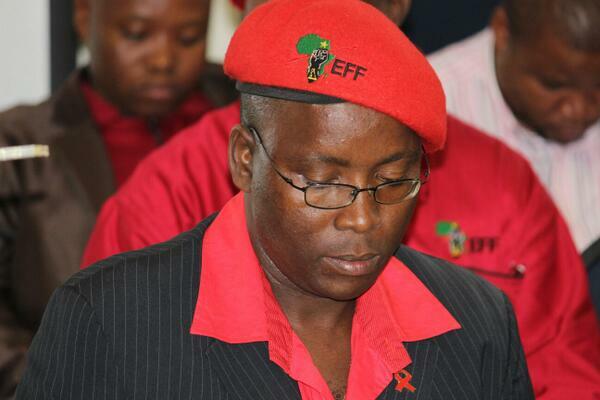 Figher Mike Mathebe is the convenor of the Economic Freedom Fighters in the province of Limpopo. He participated in the struggle against apartheid in the 1980s and participated in what is called the Motse uprising in the 80s. Following the unbanning of the ANC Mike Mathebe, without hesitation join the ANC and served at different levels of its structures. Some of the positions he held in his previous political home were as regional treasurer and member of the provincial finance committee of the ANC. Fighter Collen Sedibe got exposed to the struggle in the 80s under the South African Youth Congress. He is also a former leader of the Congress of South African Students. He was arrested for his political activities without trail. Following the unbanning of liberation movements he joined the ANC and the ANCYL and served in different structures of the two organisations. He is a former member of the South African Student Congress which he joined at the then University of the North (Turfloop) now known as the University of Limpopo and later became a trade unionist when he became employed. He is now the convenor of Mpumalanga. The convenor of the North West province was introduced to political activism through the South African Youth Congress and later joined Umkhonto weSizwe, the military wing of the ANC. Following the 1994 democratic breakthrough he was, together with other former MK, integrated into the South African National Defence Force. He is the former provincial chairperson of Mkhonto weSizwe Military Veterans Association in the North West. Fighter Aubrey Baartman is the most energetic and active convenor of the EFF in the Nothren Cape. He joined the ANC in the early 90s and served in its different structures. He is the former Mayor of the Namaqualand District Council and former ANC regional secretary Namakwa region. He is now a member of the National Executive Committee of the South African Football Association and the municipal manager of Nama Khoi Municipality. Fighter Nazier Paulsen was introduced to politics in the early 80s through participation in the United Democratic Front and when the ANC was unbanned he became a member in the 90s. 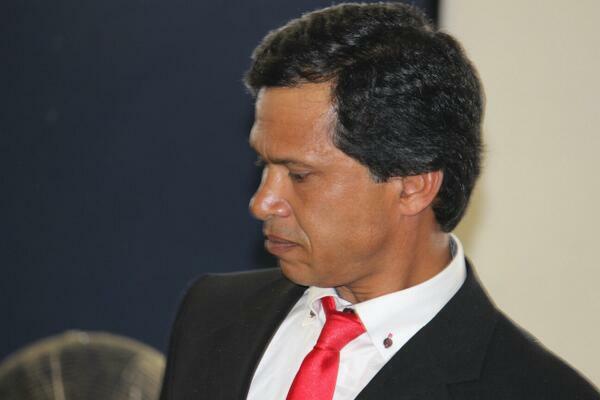 He is also a former member of Congress of the People in the Western Cape. 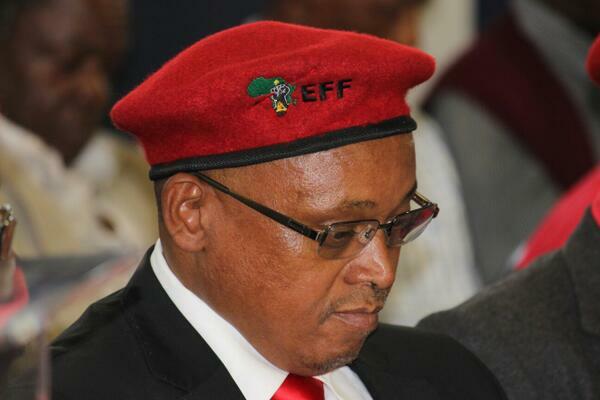 He is now the convenor of the Economic Freedom Fighters in the Western Cape. We further announce that our list includes a Democratic Alliance member of the Limpopo legislature, fighter Messie Kennedy who will be part of the Limpopo provincial candidates list of EFF. In conclusion we are pleased to also announce that the EFF has reached an agreement of cooperation with the Pan Africanist Congress in these elections. We shall be the eyes and ears of each other in voting stations to ensure free and fair elections. EFF and PAC share a common passion about the policy of land expropriation thus cooperating with them is also a matter of advancing this historic demand. We call on all fighters, volunteers and supporters of the Economic Freedom Fighters to unite behind this list for victory in the 2014 general elections. Let there be no day that passes without winning over votes for the EFF; each street, each campus, each factory floor and workplace must have an EFF volunteer. Let us paint South Africa red for now is the time for economic freedom. good luck to everybody on the list. Like ur candidate list. Make sure u deliver. Tired of work”20yrs of democracy,is a good story to tell,” by politicians,we want good life,not good story. Big unofficial supporter.